REESE Towpower<sup></sup> couplers are made of the highest quality steel construction. Several features make them easy to use while providing security for your trailer. FasLok<sup></sup> couplers have an adjustable lock nut for proper ball tension. 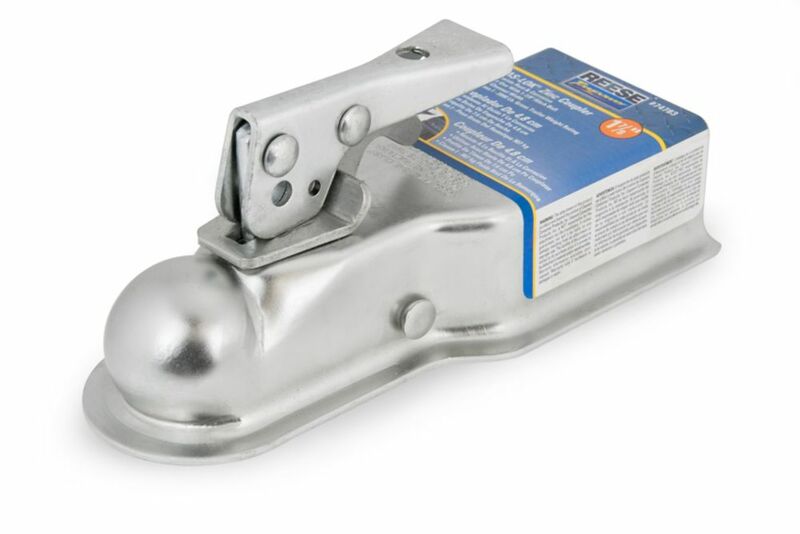 A trigger handle makes it easy to secure the coupler on the hitch ball. Handles have a hole in them which can fit a lock for added security. This Class I bolt-on coupler features the FasLok<sup></sup> locking lever system to lock the coupler to hitch ball. This Class I coupler accepts a 1-7/8 In. hitch ball, fits a 3 In. trailer channel width, and has a 2,000 Lb. gross trailer capacity. FasLok Class I Coupler, 3" Ball REESE Towpower<sup></sup> couplers are made of the highest quality steel construction. Several features make them easy to use while providing security for your trailer. FasLok<sup></sup> couplers have an adjustable lock nut for proper ball tension. A trigger handle makes it easy to secure the coupler on the hitch ball. Handles have a hole in them which can fit a lock for added security. This Class I bolt-on coupler features the FasLok<sup></sup> locking lever system to lock the coupler to hitch ball. This Class I coupler accepts a 1-7/8 In. hitch ball, fits a 3 In. trailer channel width, and has a 2,000 Lb. gross trailer capacity.